This is a part 2 continuation of Habakkuk two tables and as was pointed out before, this study entails the beginning of the foundation and pillars of Seventh-Day Adventist. 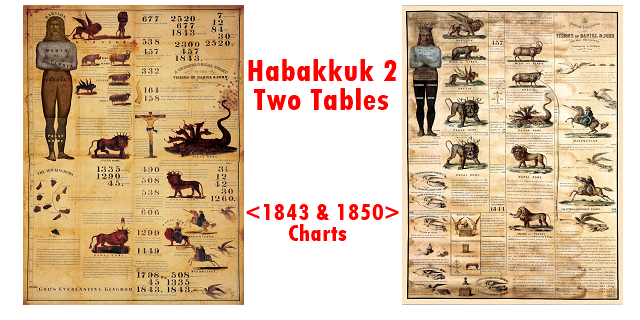 If you have not read part one as yet, then we encourage you to read it here: Habakkuk Two Tables part 2 - The 1843 and 1850 Charts - Part 1 and then come back here to continue. So here we clearly see from what we have just read that God is a God who declares the end of things from the beginning of things. Also, he was in the beginning according to (John 1:1). Now, if God declares the end from the beginning, then we must see in history the first place where God gave his people two tables, right? Since that is a case proven to be true, let us search in the Bible to see where was the first time that God gave two tables. 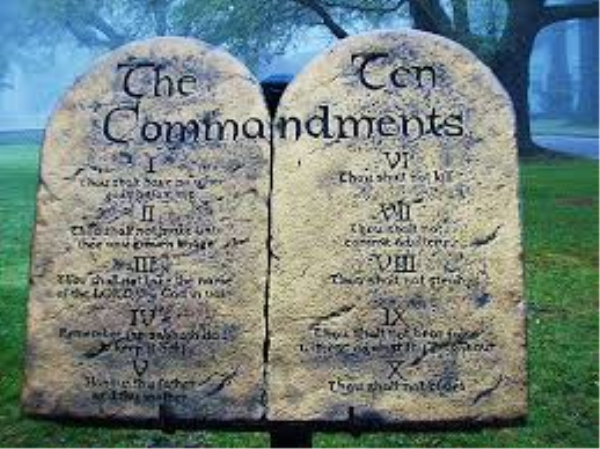 So here we can now see from what we have just read that God gave Moses two tables of testimony, tables of stone, written with the finger of God Himself. This was done whiles Moses was upon mount Sanai. A) When was the first time God gave two tables to His people? B) Who wrote on these two tables? C) What was written on those two tables? What can be gain from these verses? We can clearly see that as the Finger of God Wrote on the Two Tables of stones, so has His hands directed the Writings on the 1843 and the 1850 charts. We have reached the conclusion of this study and we hope that you can now testify to the truths that you have seen in Scriptures that God truly declares the end from the beginning and He demonstrates this by Giving two tables with commandments at Sanai and giving two tables with one having the sanctuary and the third angel's message in the history of the Millerites. Look out for the 3rd part of this study.